MacWorld 2007 was an interesting one. 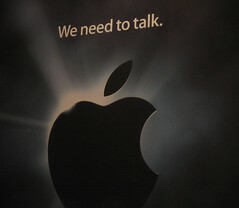 There really wasn’t much new for the Mac, but there was plenty of big announcements for Apple. The biggest one being the iPhone. 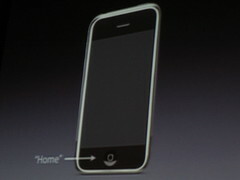 The iPhone looks like it will be a big hit for Apple, and 2007’s “must have” device for the digerati. Yes, it’s a bit pricey, but for what it does, it’s not all that expensive. It’s almost a computer replacement, and it costs much less than a laptop. At least the hardware part. I’m very curious what kind of phone plan will be required to use the iPhone. I hope that Cingular won’t be like Verizon and require an expensive data subscription in order to use an iPhone on their network. That’s the main reason I chose the Chocolate over the Motorola Q for my most recent cell phone. One of the most exciting announcements at MacWorld, for me at least, wasn’t made by Steve Jobs, but rather by a small group of academics. At a special reception on Wednesday, a new Apple-sponsored scholarly journal was announced, called “Academic Intersections.” This new peer-reviewed online journal will provide a venue for research that pushes the boundaries of technology, pedagogy and scholarship. The first issue should be out by this summer, and I hope to contribute something worthwhile to the journal. I’ve had a number of different blogs, including a few hosted on dot mac. But I’m not really happy with the current blogging options available to dot mac subscribers. In particular, I don’t really like the iWeb interface for blogging. The templates aren’t all that useful, and the options are rather limited compared to blogging-specific software. I know one can manually tweak the templates, but it seems to involve a lot of detail work that isn’t very satisfying. Perhaps the updated version of iWeb, which I hope will be released at MacWorld next week, will enhance its blogging and podcasting features. At least one can hope.